GTM is active in the aeropace environment and therefore is certified according to the AS9100 quality system. In 2009 GTM achieved certification for AS9100. 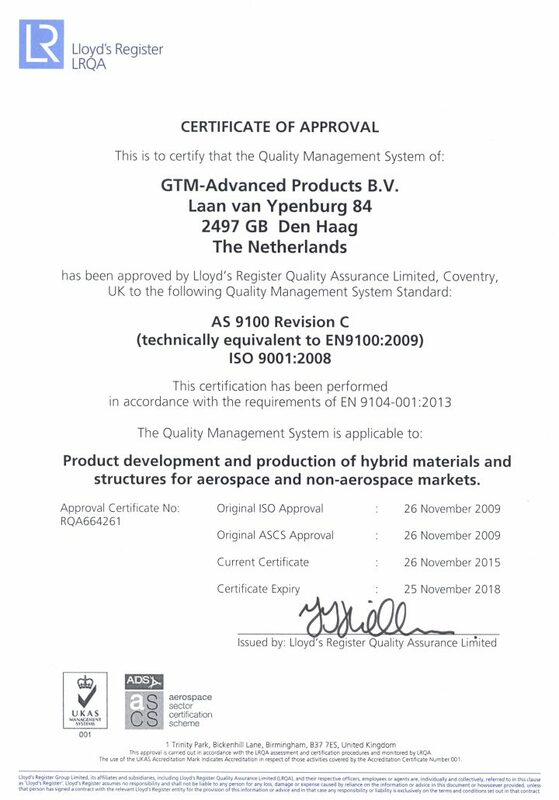 In 2015 GTM is recertified for AS9100 revision C, by Lloyd’s Register Nederland. AS9100 is a standardized quality management system for the aerospace industry. It was released in October, 1999, by the Society of Automotive Engineers and the European Association of Aerospace Industries.